Plate and Serial No (41-NA 022163) Year 01-07-1939. 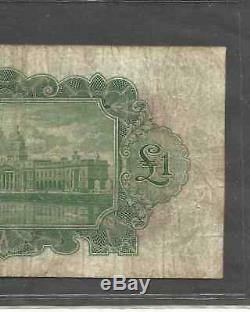 This note is classed as about Fine condition as it has no tears cuts or Biro marks it does have five tiny pinholes. 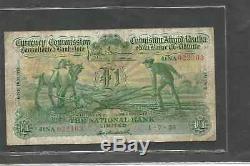 These notes are classed as scarce due to the low number that is estimated to be in private hands numbering 871 which includes all dates from 06-05-1929 to 04-01-1940, there was a total of 4,400,000 issued during 10 years and eight months. 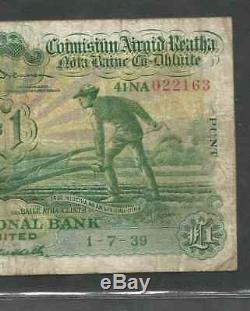 The statistical analysis which came from the Central Bank of Ireland were provided by Derek Young for publication in the Irish numismatics. 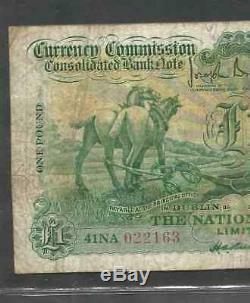 The Printed signature on this Ploughman Note is Joseph Brennan & H. Please have a look at my other items for sale. Please Judge condition yourself as people often differ between grading and opinion. Will combine p/p with other items for sale if under 50g. 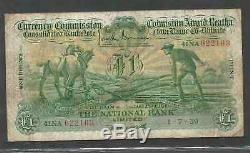 The item "Scarce The National Bank Limited £1/Punt, Currency Commission Consolidated Bank" is in sale since Monday, January 14, 2019. 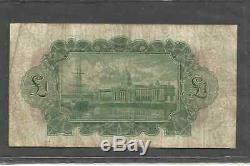 This item is in the category "Coins\Banknotes\Irish". 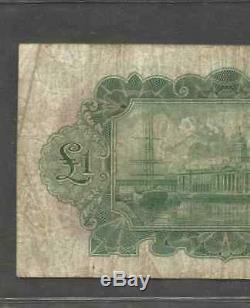 The seller is "irishcoinsandstamps" and is located in Co.